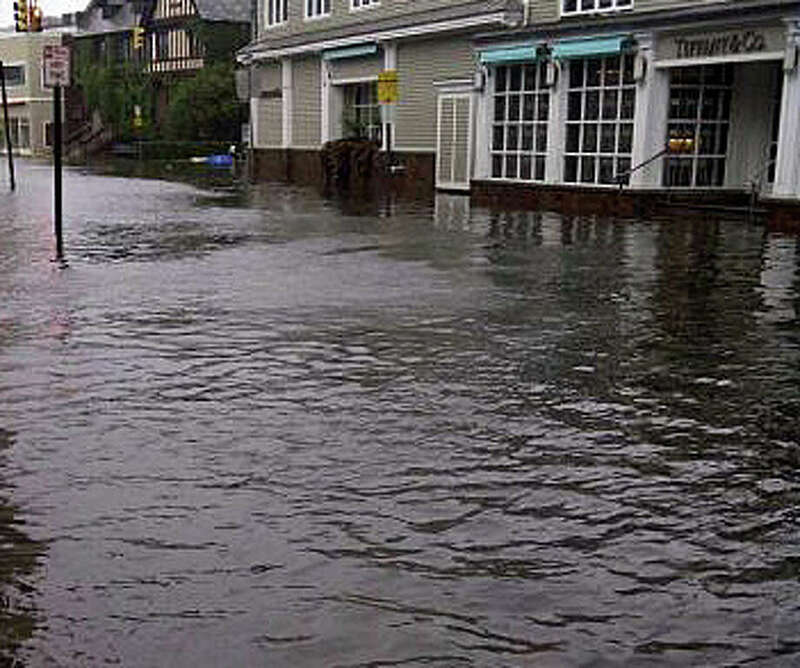 Severe flooding has hit Westport in the last two years -- shown here downtown during Tropical Storm Irene two years ago and again during Superstorm Sandy last year. The Fire Department will be hosting an informational meeting Monday with Gemma Fabris, deputy state hazard mitigation officer from the Division of Emergency Management and Homeland Security. The Fire Department recommends that homeowners attend who have been affected by severe flooding, have questions about repetitive loss, or are interested in applying for a Hazard Mitigation Grant. The meeting will be held at 6 p.m. in the auditorium of Town Hall, 110 Myrtle Ave. Homeowners unable to attend may call Michele Onofrio at 203-341-5024 after Monday's meeting for additional information.